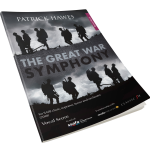 The Sheet Music for a selection of Patrick’s favourite excerpts from The Great War Symphony is now available! He has chosen five pieces from this No.1 selling work that work really well for choirs as individual anthems or concert pieces. The Vocal Scores and Full Scores are available for each and they can be performed with orchestra or just with piano. We’d love to hear from you if you perform them or the whole work so do get in touch! 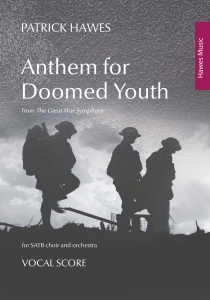 Soon to also be available through MusicRoom and JW Pepper. Plus The Great War Symphony in its entirety!